The migration from Microsoft Office has improved collaboration, says sportswear retailer Finish Line. 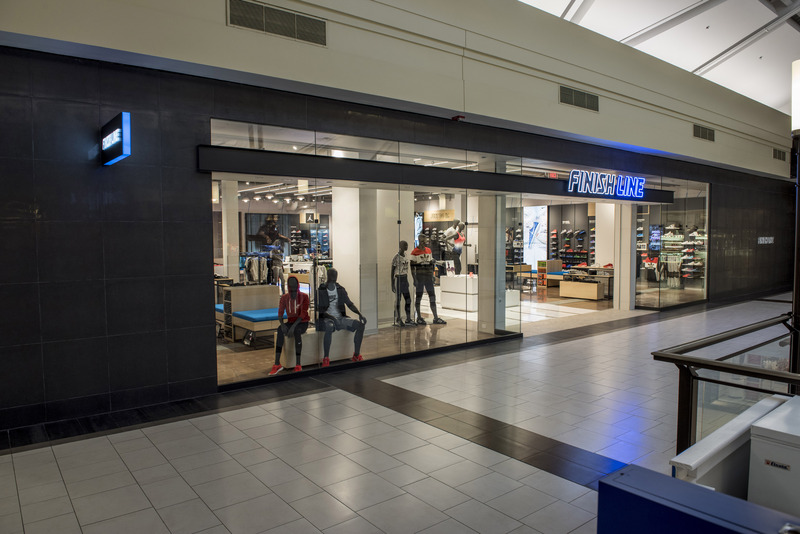 Finish Line completed the migration of thousands of employees from Microsoft Office to G Suite in two months, part of a major project to improve workplace collaboration at the sportswear retailer. The Indiana-based company has more than 14,000 staff, including executives at its corporate offices and sales personnel at 1,000 store locations around the U.S. According to Warren Lenard, vice president of technology and operations solutions at Finish Line, staff communications had previously been siloed across the organization, while many employees relied each day on an aging intranet to access information needed to support them in their roles. Having previously been a Microsoft shop, Finish Line is now using a range of Google tools, from productivity apps such as Gmail, Docs and Sheets to Hangouts Chat and Meet collaboration platforms. This has helped improve communications between executive teams, as well as in-store staff. “In the short year that we have been live, we have probably had about 2 million files up on Google Drive, and the amount of documents that are shared is starting to approach 100,000,” said Lenard. The move to Google coincided with the deployment of LumApps, a cloud-based “social” intranet platform that is tightly integrated with G Suite. The LumApps platform is the basis of Finish Line’s employee information portal, Finish Line Connect. In combination with G Suite, the intranet rollout has helped reduce emails between executive teams and in-store staff by 90%. “We have tremendous adoption of Finish Line Connect, something in the order of almost 2 million connections, as well as a lot of people utilizing Hangout Meet for their meetings and collaboration,” said Lenard. He added that the benefits realized by Finish Line are applicable to most organizations regardless of whether employees share the same location or are spread across multiple geographies. “In the case of Finish Line, it is particularly relevant given the nature of the work that frontline workers do and the challenges this represents when interacting with executive staff in a central location,” he said. Collaboration processes were convoluted and time-consuming, and colleagues working together on a single document could generate 60 or 70 emails. This led to what Lenard describes as “version roulette,” with multiple copies of documents and no definitive version. There were also inefficient processes, which could result in hours and days of wasted time. “It adds up, and if you multiply that across the organization, it is significant,” he said. Initial aims to improve collaboration and communications centered on the replacement of the firm’s aging ATG version 5 intranet. This goal happened to coincide with a need to supply G Suite accounts for the company’s digital team — Finish Line’s fastest-growing business unit. Staff at the digital team had “gone rogue,” said Lenard, and set up personal Gmail accounts to create documents and communicate with one another. "They had gotten fed up with the poor performance around our collaboration; even getting to files on our file servers that were internal would take forever,” he said. While Lenard was reticent to force the team to use Microsoft tools, security staff were “doing backflips” at the prospect of staff sharing corporate data on personal accounts. A temporary solution was to procure paid G Suite accounts with full compliance and admin features. Up to this point, the assumption had been that Finish Line would migrate to Office365 over time and build an intranet on Microsoft’s Sharepoint. However, a conversation with G Suite integration partner Onix raised the wider issue of workplace collaboration and the prospect of a wider rollout of G Suite. It would also involve a switch from ATG to LumApps. Lenard said Finish Line’s CEO was won over by the G Suite and LumApps migration plan and the prospect of improved collaboration and communication between staff. Lenard also makes the point that getting funding for collaboration projects is often a tough sell. “It is never the thing that rolls off of people's tongues, to address collaboration,” he said. “Everybody is concerned — and rightly so — about supply chain, and ERP and merchandizing systems, because those are the things that are right there in front of your face: How do we build our business? How do we increase revenue? How do we increase margin? Although cost was not the only factor, Lenard said that the move to G Suite resulted in “significant” cost savings compared to its Microsoft enterprise agreement, which was due to end a year after plans were being discussed, at the end of 2016. Furthermore, a move to Office365 would have resulted in increased expenditure. “As it turned out, this whole migration would actually result in a cost savings for us,” said Lenard, and senior executives were unanimous in agreement to push ahead. “So we put together a migration plan. End-to-end on the G Suite side took us two months for the whole company,” he said. The project was a major undertaking that required buy-in from the wider business, involving representatives from communications, HR, learning and development, and procurement teams. Change management was a major aspect of implementing the project. “Our big success, a lot of it we attribute to our marketing capabilities. We did not make this a silent or a stealth type of migration at all. But switching from Microsoft to Google apps has, for the most part, been straightforward. Mail and calendar conversion was “seamless,” he said, and the process of converting Word files to Docs presents few challenges. Castanon-Martinez of 451 Research said that G Suite has evolved to the point where large migrations are relatively straightforward from a technical perspective. Managing the organizational — and human — aspects of major projects is often the most significant obstacle to overcome. “Technical challenges are not a topic that comes up, I assume because Google has worked to make it easy for companies to switch without it being a major hassle for users and IT staff,” he said. Having completed the migration, Finish Line now has 3,000 Google mailboxes set up, while all in-store staff have been supplied with a Google account and access to the Finish Line Connect intranet. Store managers now have their own email, rather than relying on one email address assigned to each specific store. One of the main benefits of the project has been to connect executive and in-store staff. There has been a reduction in the number of documents — such as store action planners — being printed, which would run into millions of pages annually, the equivalent of 144 trees. Having moved to G Suite, Finish Line is busy implementing more Google services. It has begun to deploy Google’s Jamboard digital whiteboards in executive meeting rooms and plans to roll out Pixelbook and Chromebook devices. Meanwhile, the Finish Line Connect employee portal is being built out with new departmental pages to further encourage information sharing. Castanon-Martinez said that the Finish Line project shows how IT can support a large workforce of deskless employees. “This scenario illustrates how the future of work will evolve,” said. “IT will increasingly need to think about supporting employees in multiple locations. This goes beyond simply providing access to company resources (applications, databases, files) from different locations; it also involves how employees work together.